PokerStars picked up Best Online Poker Room at the Belgian Poker Awards, formerly known as “A d’Or” (Golden Ace). The awards, which are held at Casino de Spa, one of the oldest casinos in the world, included categories such as Best Player, Best Live Poker Room, and Best Performance, with Best Online Poker Room making its debut appearance. PokerStars.be has been operating since 2011 in partnership with Circus Group and Namur Casino. Total amount guaranteed for the PokerStars Championship presented by Monte-Carlo Casino® National Championship event. PokerStars is also offering a 50-seat-guaranteed live satellite on April 25 at 4PM for the €1,000,000 guaranteed National Championship. The Sunday Storm celebrates its sixth anniversary on March 19 with a huge $1,000,000 prize pool, which guarantees $100,000 for the winner. With direct buy-in only $11, the popular tournament will award a first-place guaranteed prize of at least 9,000 times the player’s entry fee – approximately three larger than the tournament’s regular weekly top payout. The number of players that have tried their hand at PokerStars Beat the Clock tournaments. These short-handed, five-minute turbo tournaments have been running for more than three months now, a perfect option for those that want to experience the thrill of quick-fire poker played in bite-sized chunks. There have been more than 200,000 unique tournament winners and more than six million hours of game play have been clocked up since launch. That equates to a staggering 733 years! Beat the Clock games are available on desktop and mobile. PokerStars Championship Panama kicks off today with the $50,000 guaranteed PokerStars Open event. The Championship will run until March 20 and features more than $650,000 in guarantees, including a $400,000 guaranteed prize pool in the National Championship event. Professional online poker player Fabian Gumz won the €275 PokerStars Open at PokerStars Festival Rozvadov banking €23,770 and the coveted trophy. The 22-year-old, from Hamburg in Germany, cut a four-way deal with his fellow players, with the other players securing €14,500. The episode number of this week’s Poker in the Ears podcast with James, Joe and Matt which is now available to stream and download. Team PokerStars Pro ElkY talks about PokerStars Festival Rozvadov and the team take a look at the PokerStars Championship Panama, which started today. The number of days until the 2017 Spring Championship Of Online Poker (SCOOP) commences – it will then run from April 30 – May 23. This year’s series will have 56 events, and the lowest buy-in levels reduced to $5.50/$55/$530 making this the most accessible SCOOP ever. The 2017 Main Event will be held on May 21 at 14:00 ET. The 2016 $10,000 Main Event was won by UK resident Talal ‘raidalot’ Shakerchi when he defeated a field of 824 entries and walked away with over $1.4 million for his efforts. Find out more on how last year’s Main Event winner claimed his title below. It’s not a big number, but it’s a huge deal for poker powerhouse PokerStars celebrating their first New Jersey birthday. To mark the occasion, PokerStarsNJ.com is splashing the cash over a four-week period with a range of juicy player promotions. Favourites Mega Cash Bonus and Card Hunt return and there’s also a special NJ themed tournament series running March 19-26. The prize pool increases at each spot on the online tour and concludes in Atlantic City (where else?) with a $50,000 bonanza tournament. The PokerStars birthday revelry rolls on until April 2 and like all the best parties ends with a bang: the Sunday Special explodes with a $100,000 guarantee. No rake will be taken in a new cash game initiative to find the best online cash game players, which will be launched by PokerStars in the coming weeks. ‘All Stars’, a one month cash game competition, will be a rake-free zone featuring two stakes, NL2OO (Masters) and NL2000 (All Stars), and $100,000 of leaderboard prizes. Qualification will be determined by winnings at the NLHE cash game tables in the previous 12 months. Russia’s luxury holiday destination Sochi will host PokerStars Championship Sochi from May 20-31, 2017 at the Sochi Casino and Resort. 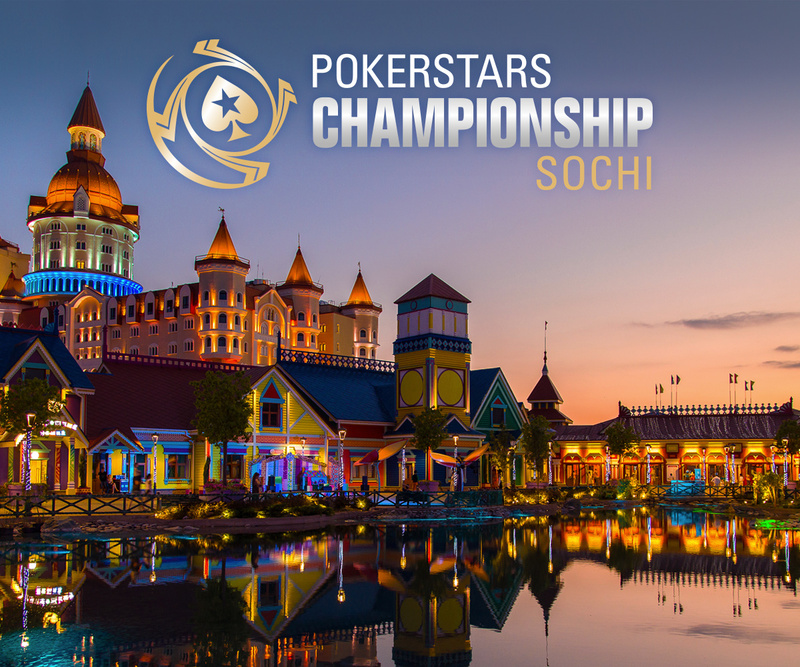 PokerStars announced the biggest poker event Russia has ever seen, PokerStars Championship Sochi, earlier this week. Team PokerStars Pro Online Kevin Martin has just been announced as one of the housemates in the latest series of Big Brother Canada. His Team PokerStars buddies Lex Veldhuis, Randy ‘nanonoko’ Lew, Felix Schneiders and Jaime Staples recorded a message wishing the Twitch star well as he uses his poker-honed strategic skills to try and win the title. Watch out for special tournaments in Kevin Martin’s name to be held while he is away from the poker tables.